Many often speculate how the world will end. The two leading contenders in this debate are that we will either kill ourselves by inciting a nuclear war or a giant asteroid from space will destroy humanity. Well as it turns out nuclear bombs could actually save us from asteroids. According to research physicist David Dearborn the best option to divert a large asteroid away from Earth would be to use a nuclear weapon to change its orbit. Dearborn says that if necessary we can use nuclear weapons to divert a large asteroids orbit away from Earth. The nuclear option will only be initiated if the threat of impact comes with only a few years warning. The asteroid would also have to be more than a mile long before a nuclear bomb would even be considered. No word on whether or not Aerosmith will provide the soundtrack for the nuclear mission of it does potentially have to be initiated. 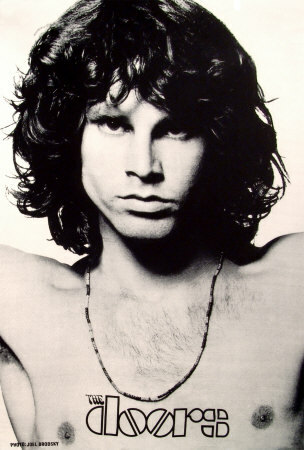 It seems that the charismatic and eccentric frontman for The Doors, Jim Morrison, is very much still with us. Not just through his musical legacy, but also spiritually. A Mexican restaurant at 8512 Santa Monica Blvd in California is said to be the place where the deceased singer’s ghost continues to linger. The restaurant actually used to be the recording studio and crash pad for The Doors and the group spent much of their time there. In fact, what is now the restroom was once the vocal booth where Jim Morrison recorded the rock classic “LA Women”. It is also said that Morrison’s ghost is most active in the bathroom area. 90-year-old Zecharia Sitchin, an ancient astronaut proponent and writer, says that he is willing steak is entire career, a career that includes 14 books on the subject of ancient astronauts, on the outcome of a DNA test that is currently being conducted on the corpse of a 4,500 year old, high-ranking Sumerian woman. Queen Puabi, the name given to the ancient remains, was uncovered in Iraq in the 1920s. Puabi was a queen-like figure to the ancient Sumerians and was described as a “nin” a term meaning goddess. Sitchin believes that if she was a godess to the Sumerians then she must have alien DNA, as he believes that the gods and goddesses of religion are ancient alien visitors. Sitchin is currently saying if Puabi’s DNA is not alien then he will retract all his ancient astronaut theories. Two people sighted a UFO over Summer Lake Hot Springs on June 27. The two witnesses reported that the UFO not only darted across the sky at high speeds but also dove in and out of the lake. The two witnesses were enjoying the beautiful scenery when a streak of light across the sky caught their attention. The object grew brighter and appeared to hover. Suddenly several balls of light began streaking across the sky. The lights would spontaneously change their shape and color. The witnesses then claim that the balls began appearing very close to the ground before disappearing into the lake. Luckily they got a few pictures of the UFOs. Eyewitness reports of large wolf-like black dogs have been flooding out of the UK recently. The reports seem to be centered mainly in the UK countryside, but other reports have been made in more heavily populated areas. Some British zoologists and paranormal researchers are now calling for a thorough investigation into the existence of these dogs. Many in the community are now determined to figure out just what these creatures are. There have been 50-60 accounts of these black dogs in the last decade, leading many to believe that a potentially dangerous beast is prowling the UK countryside. The original press release was quickly retracted and the US government began saying that what crashed was not an alien craft but was a simple weather balloon. This backtrack on words led to the most controversial UFO incident in American history and is still today an international phenomenon. This past week marked the 63rd anniversary of this controversial event.